"The Lutheran Church in the World Today"
Participants: 47 churches from 26 countries represented 200 voting delegates and 400 visitors. 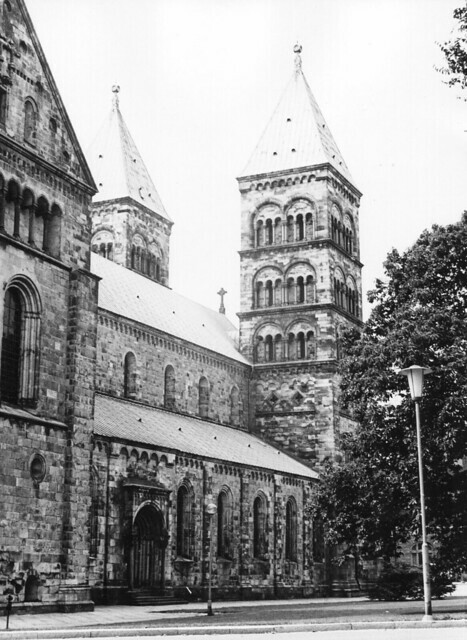 This was the assembly at which the LWF was founded after three previous gatherings of the Lutheran World Convention. Many delegates came from cities and countries that were destroyed during World War II. Armed with the determination to forgive and to reconsider the idea of “the enemy,” delegates committed themselves to seeking new ways of living together in Christian communion. Those whose countries had recently been at war came together in worship. Although official delegates mostly came from Germany, the Nordic countries and the United States, other participants included Chinese theologian P’eng Fu and Indian theologian Joel Lakra who was elected a member of the first LWF executive committee. Highlights: Archbishop Erling Eidem of Uppsala, Sweden, presided as retiring president of the Lutheran World Convention. The assembly adopted a constitution for the LWF. Professor Anders Nygren, of Lund, was elected first president of the LWF and Dr Sylvester Michelfelder, of the United States was confirmed as first LWF Executive Secretary.